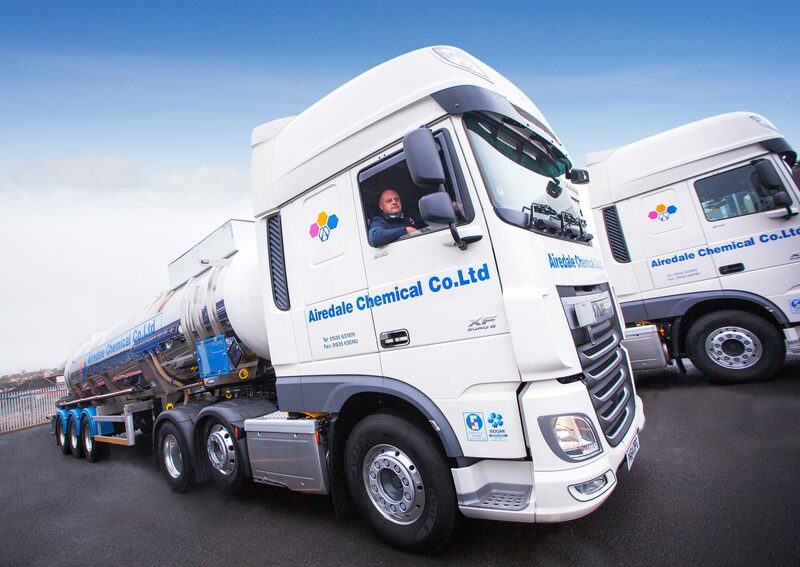 West Yorkshire, UK-based chemical manufacturer, Airedale Chemical, has invested £500,000 in three new vehicles for its distribution fleet. The company, which provides all its own transport, has acquired a road train curtain sider to store IBC and packaged chemicals; one rubber-lined barrel tanker designed specifically for distributing hydrochloric acid and ferric-based chemicals, and one Euro Liner which conforms to European specifications for delivering chemicals such as phosphoric acid. Bolstering Airedale Chemical’s position is its investment in vehicles that are designed specifically to provide controlled transport for a range of chemicals. For example, its new rubber-lined tanker was acquired to manoeuver HCL-based chemicals including ferric chloride, ferric sulphate and hydrochloric acid, all of which attack stainless steel surfaces so therefore require non-corrosive storage conditions.